Head of design at General Motors. 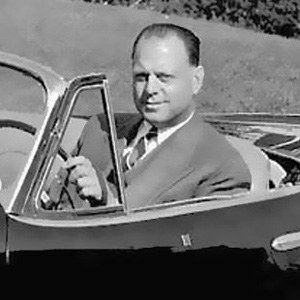 He introduced tailfins as an automotive style and gave the world the Chevy Corvette. He introduced the LaSalle during his very first year with GM, a smaller version of the Cadillac meant to attract the moneyed crowd that was then driving Hispano-Suiza cars. His work on Corvette took place under the code name Project Opel. He separated it from the rest of the company, using dedicated engineers to design and build his prototype. He was born in Hollywood, California. He and fellow GM exec Alfred P. Sloan came up with the idea of planned obsolescence: that cars should go out of style after several years.